Last Saturday, I went to Fahrenheit88 shopping mall in Bukit Bintang KL with my family for dim sum breakfast. After breakfast, we walked around the mall and that was when I stumbled upon these Tokidoki characters. 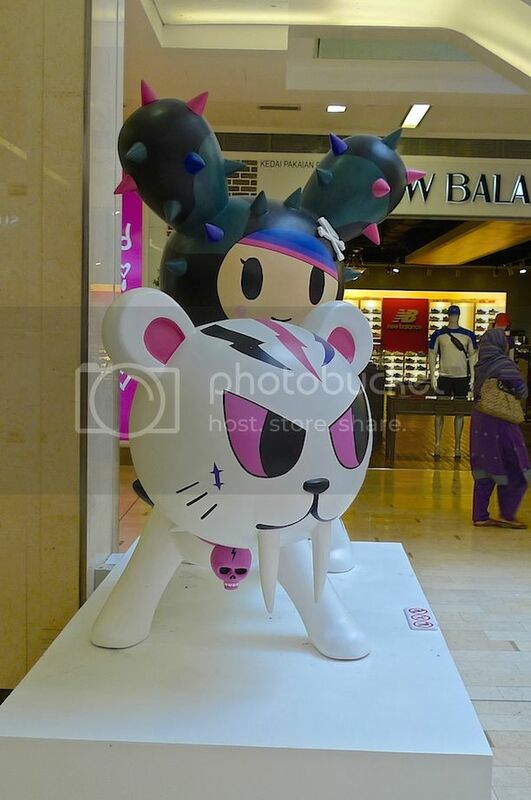 For the uninitiated, Tokidoki is the Japanese-inspired lifestyle brand created in 2005 by Italian artist Simone Legno and his business partners Pooneh Mohajer and Ivan Arnold. 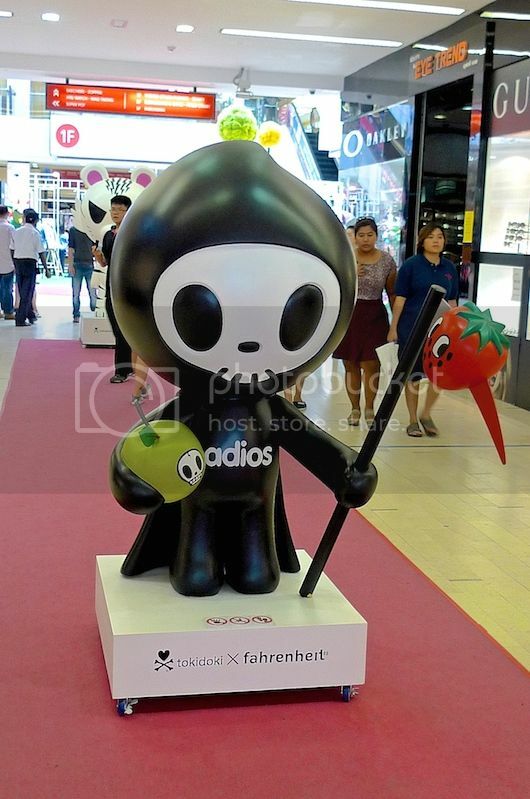 They produce an innovative line of apparels, handbags, cosmetics, footwear, accessories and other products based on the characters and tokidoki logo designed by Simone Legno. 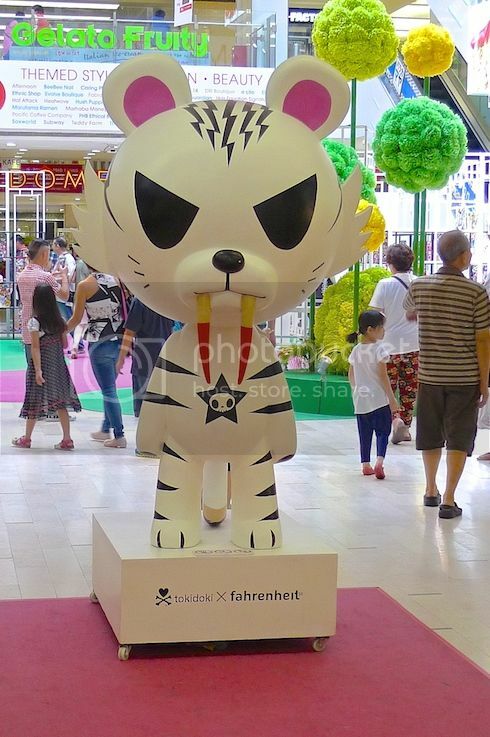 Frankly, I was not very familiar with Tokidoki, so I did some reading up before writing this post. 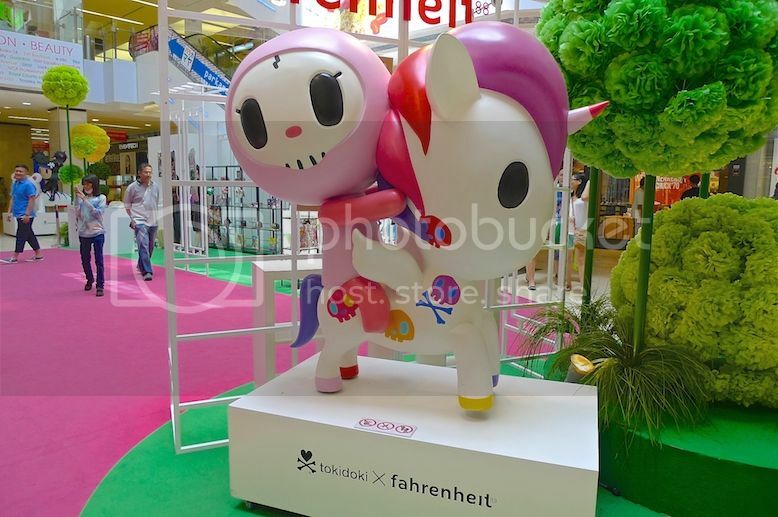 In any case, I found these larger-than-life Tokidoki statues very cute! The above is Cactus Friend riding on a Tiger. Below is another one of the Cactus Friends. Ciao Ciao riding on Unicorno. Adios, the Grim Reaper from the Till Death Do Us Part group. By the way, I found out that Ciao Ciao (who is riding on the Unicorno) is his girlfriend! 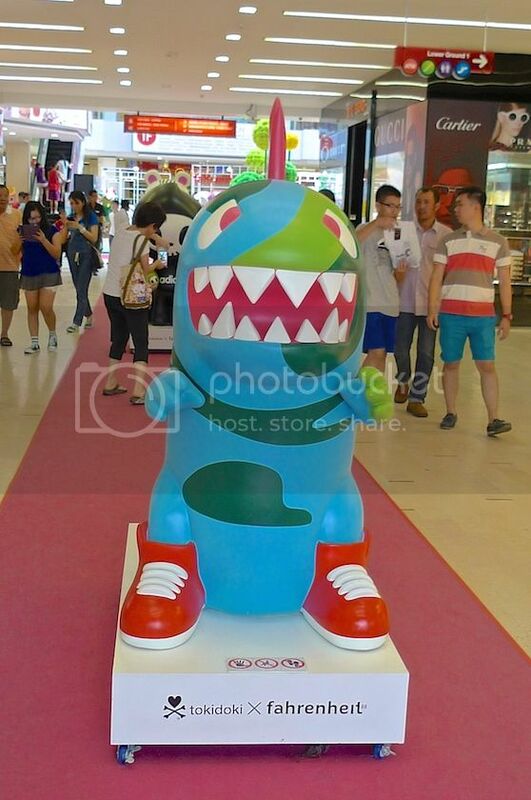 Kaiju, the equivalent of a monster in Japanese. 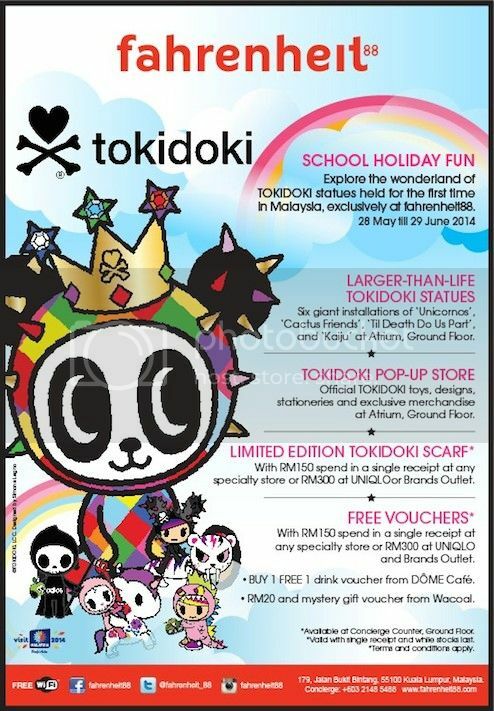 For more information of Tokidoki characters, read HERE. 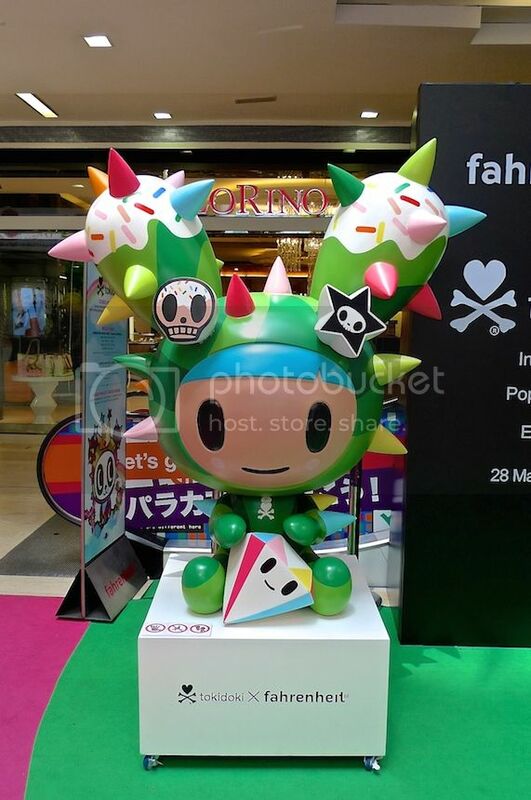 It's not too late to catch up on these cute Tokidoki characters as Fahrenheit 88 is holding the Tokidoki Exhibition which includes a pop-up store and sales of merchandise till June 29th.